Arbitration in Nigeria continues to experience an upward spiral as an effective dispute resolution mechanism adopted by parties engaged in contemporary commerce. Presently, there is a widespread practice of embedding arbitration agreements in the commercial transactions flowing from various areas of the economy, particularly the energy and maritime sectors. Interestingly, there also appears to be a growing number of arbitration cases being conducted domestically in Nigeria. Statutory dispensation in the form of the Arbitration Conciliation Act (ACA), Cap A18 Laws of the Federation of Nigeria (LFN) 2004 has ensured that procedures for the resolution of disputes through domestic arbitration are adequately provided for in order to promote the timely conclusion of the arbitration process. While it appears that arbitration in Nigeria has been embraced by most of the sectors within the Nigerian economy in respect of their commercial transactions, a vital sector which appears to have failed in hopping on the ‘arbitration bandwagon’ is the banking sector. Inevitably, the unique position of banks as lending entities dictates that disputes are bound to arise at any point in time regarding the bank-customer relationship. These disputes could arise either as a result of a bank seeking to recover loans from a defaulting customer or the customer seeking to contest the precise amount of money payable to the bank in offsetting its indebtedness. Currently, there is no gainsaying that Nigerian banks are enmeshed in a multitude of cases before the law courts, seeking the resolution of disputes arising with their customers. This is so, especially in the case of non-performing loans. A major setback in recovery of non-performing loans is the challenge of prolonged litigation. One would then wonder why banks in Nigeria are not keen to adopt arbitration as a dispute resolution mechanism, to avoid delay. Arguably, the position above warrants a brief consideration of the likely issues that could appear to dissuade banks from readily adopting arbitration as a dispute resolution mechanism and the benefits that could accrue, if arbitration is indeed embraced by the banks in Nigeria, as an alternative to litigation. 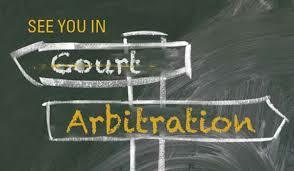 It is almost axiomatic that some delays will be experienced in any arbitration. This is due to the position that appreciable time may be expended in appointing members of the tribunal, especially when parties have either failed in concurring on the composition of the tribunal or where the arbitration agreement presents interpretative difficulties, especially where the wording is inelegantly or unclearly drafted. This position could be regarded as time-wasting by the banks considering that they could easily proceed to the law courts and file a suit without encountering any time-related procedure that causes a delay in doing so. A bank might be unappreciative of the tribunal’s reasoning in arriving at an arbitral award, due to the perception that such reasoning is not of the expected quality or standard. This perception could arise as a result of doubt in the expertise of the arbitral tribunal in dealing with the subject matter of the arbitration. 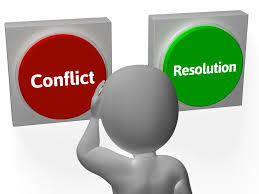 The common belief is that arbitration costs less than litigation; however, this is not entirely true. The cost of an arbitrator can be quite high, especially considering that an arbitral tribunal could consist of three members that must be paid. Against the backdrop that banks appear to be involved in a significant amount of disputes with their customers, most banks would be conscious of the appreciable funds that would be expended, if arbitration was engaged as the primary dispute resolution mechanism. In cases where a suit has been instituted in the law court in respect of a bank-customer dispute, there is the likelihood that a bank could be the loser in that suit. This position is disadvantageous to the bank as other customers with similar disputes will be encouraged to proceed to the law courts to institute various actions against the bank. However, a crucial advantage for banks resorting to arbitration is that the arbitral proceedings are usually confidential, which ensures that the outcome of the arbitration is not subject to public scrutiny. This is advantageous to banks on the basis that a dispute with a customer can be quietly resolved without other customers who have similar disputes becoming aware of the outcome, thereby ensuring that they are not emboldened in pursuing such disputes. The right to participate in the process of choosing the members of the arbitral tribunal dictates that a bank will play an influential role in ensuring that the tribunal is composed of members that possess the required expertise to deal with the subject matter of the arbitration. This is quite distinct from the position in the law court where no role can be played in selecting the judge that will determine a suit. While some time may be expended in composing the arbitral tribunal and arriving at the arbitral award, it is, however, indubitable that arbitral proceedings are usually faster in nature than litigation in the law courts. This is attributable to the position that the proceedings are usually conducted within defined timelines and the arbitral tribunal is not burdened with any extra caseload to distract it. 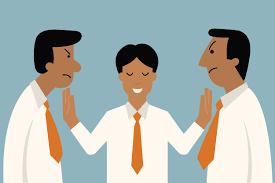 An arbitral award is binding and can be enforced by the successful party. It is also noteworthy that the arbitral award can be enforced in other jurisdictions thereby ensuring that the award is not obtained in futility. Historically, whilst arbitration has generally been unpopular as a dispute mechanism in the Nigerian banking sector, it is noteworthy that this cannot continue to remain the position. Given the fact that a significant amount of non-performing loans are the current subject of litigation in the law courts, and considering that a number of these cases have been before the court for an appreciable number of years, it does appear that arbitration will be the way forward, if banks are keen to recover their funds from debtor-customers within a reasonable period of time.